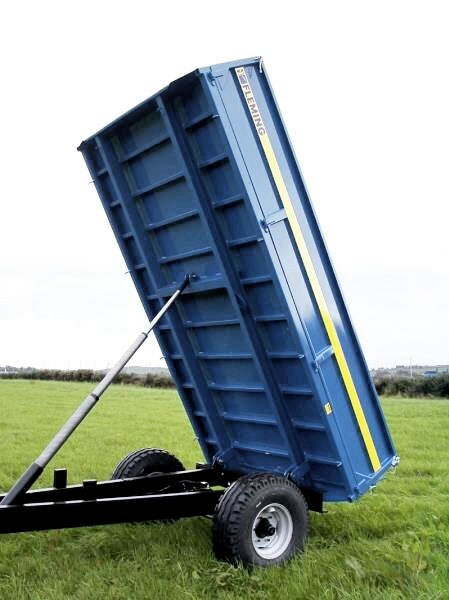 The Fleming Tipping Trailer range is designed with a strong and sturdy structure which allows for multi-purpose use. - Reinforced sides and hinge points. - Lights fitted in protective channel. - Slim-line reinforced draw-bar with hose and cable stand as standard. - All 4 sides are removable and are fabricated in one piece (no water traps). fabricated in one piece for extra strength. - Handbrake as standard Galvanised mesh sides optional.